Let your customers know that your business is open for feedback. 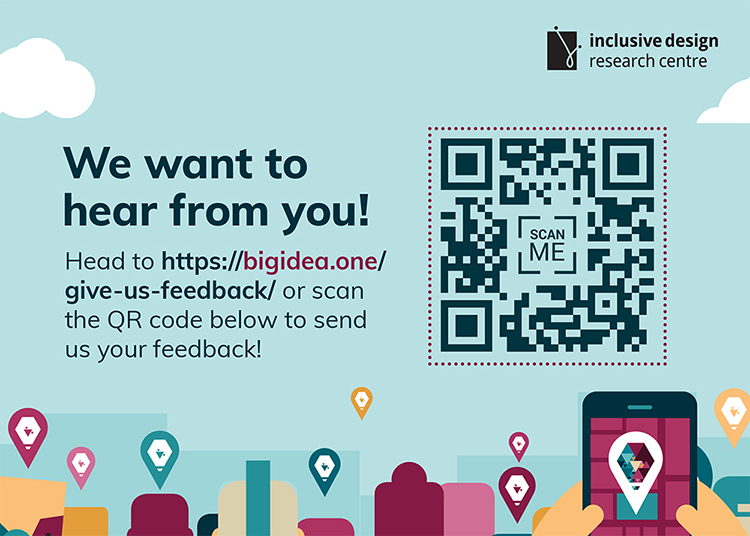 BIG IDeA has posters and cards that you can display in store so that customers know to send their input to you through bigidea.one. Remember, that is private. Only you get your clients feedback. These print materials are available to download in 8.5″x11″, 7″x5″, and 5.5″x4.25″.